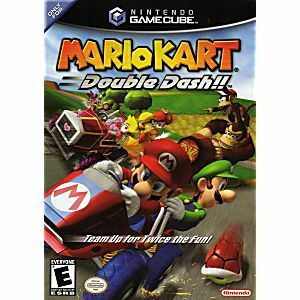 The Mushroom Kingdom just got a whole lot more hectic as Mario and friends double up for furious kart racing. The character in front handles the driving duties, while the character in the rear doles out damage with six normal items and eight special items that only specific characters can use. It's multiplayer mayhem at its most intense! Place first in racing circuits to open up progressively more difficult circuits. 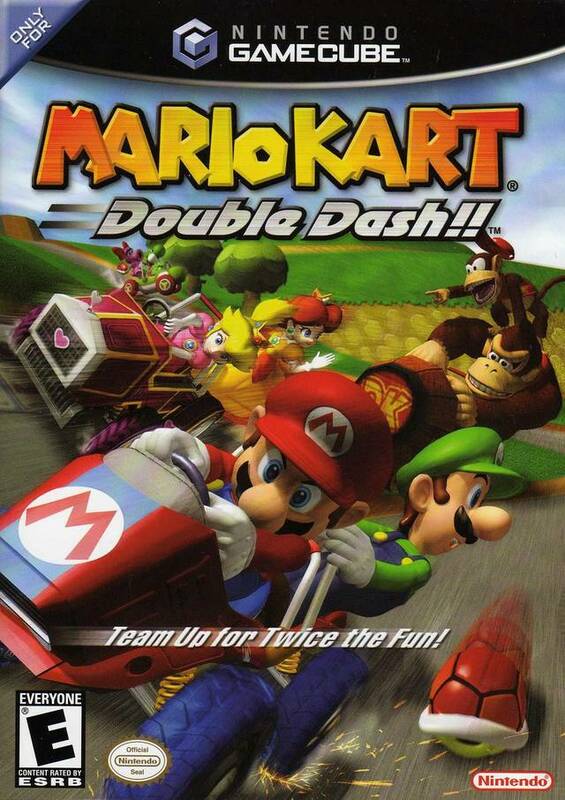 Mario Kart: Double Dash! is pure chaos -- and pure fun. Works great!! Fast shipping, great packaging and spotless disc. Thanks! Case + game in great condition. Price here was much better than other places. No scratches. A great game for my little sister! Bought as a Christmas present. The best part is, on two player mode there is an option where she can just stay on the back of my cart and throw items from the mystery boxes. Great, simple games for all age groups. Works great!! 2-day shipping was a great choice! I bought multiple games from a Lukie Ganes order, and only one of them did not work. Super Smash Bros Melee. Now, I do recommend this place, but risks like this will happen. As for the other games, I am no where close as to being disappointed. I'm currently in the process of returning Melee and getting a free "new" copy, which hopefully works. But thanks Lukie Games, I like what you're doing, and you're always trying your best to do your best and have the best quality a game can be. And for that, I appreciate you. Good job, nonetheless. Shipping is fast, the game was in perfect condition. The only thing is maybe the conversion in CAD dollars should be there when you look through the store. Super service! Quick to recieve. No problems in ordering. Game plays great! Lukie Games is the best, they stand behind their products. The game arrived in no time and is in perfect condition. Once you order you're hooked for all the oldies but goodies. This game came in great condition. It's really fun and I love playing it with my friends. The game was in great condition. No scratches or glitches or anything. Great game from a great service. The game arrived without any problems. There was what looked like some dried polishing compound on the top disc, but it came off easily with a damp cloth. There were virtually no scratches on the disc and it worked perfectly. I'm very happy with this purchase!